Dynamic Ad Insertion is now accessible to all levels of podcasters. Ad insertion technology is being used by an increasing number of podcasters to not only increase advertising revenue across archive episodes, but also to insert pre-recorded host/live read ad mentions as well. How this element of ad technology will continue to change podcast advertising as programmatic buying increases. Share some best practices you should be doing now to ensure you are ready to enable ad insertion down the road. Choose photos that best represent your business. You may use your logo as your profile photo and an image of your store, products, or one from a current marketing campaign as your cover photo. At the top of your Page you can add a call-to-action that directs your Page visitors to do something, like visit your website or call your store. Adding a call-to-action button is as easy as a few clicks. PM18 Yes! Rob I need a new Spreaker T-shirt. Rob . . . you are calming and not blase at all. Too funny, Alex! Your newest app . . . Google Play blocker. *LOL*! I will stick with the Spreaker Android tablet app. It works great. I also need to hear at normal speed. 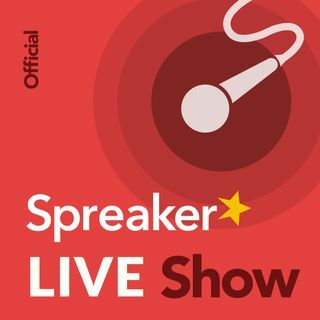 I think it would be nice if Spreaker Live Show could occasionally have a live call-in show to interact with listeners. There were five of us on the marathon live show at one time through the Skype number with Alex. I use the Android tablet app when I travel. I know this has been brought up before, but can we put the download button back on the embeddable player? The last time this was brought up i believe the answer was that only a small percentage of listeners downloaded as opposed to streaming. If thats the case, why not make it an option in the embeddable player, like many other features are. I just think it makes it more accessable to people who are new to podcast listening and afraid of using data. Obviously i try to steer them twards the podcast players, but I would still like an easer way to have them download straight from my webpage. I understand that i can make a download button, but if it was integrated into my webplayer, I can have the whole thing automated, and streamline my workload. Thanks! I have 250 billion listeners. I'm excited to have caught you guys live!